Do the aftereffects of traumatic events we suffered as children follow us into adulthood in a physical way? Research about Adverse Childhood Experiences (ACEs) proves that enormous childhood stress absolutely leads to increased potential for adult illness and disease. The original Adverse Childhood Experience study (conducted from 1995 to 1997) examined the link between childhood trauma and the likelihood of developing medical conditions as an adult. A collaboration between the Centers for Disease Control and Prevention and Kaiser Permanente’s Health Appraisal Clinic in San Diego, the study canvassed 17,000 Health Maintenance Organization patients willing to offer extensive information about childhood experiences of neglect, family dysfunction, and abuse. More than half the study respondents reported at least one category of childhood trauma, and a quarter of them reported more than two. The study results, released in 1998, were staggering. The researchers admitted feeling “stunned”: For the first time, a study proved that childhood adversity can create an early process of inflammation and cellular aging that can, among other ill effects, shorten a lifespan by almost 20 years. With extensive data showing that childhood trauma rewires the mind and body, we must ask: Can it be rewired again—after trauma, before illness—to improve outcomes? Advancements in the field of neuroscience have taught us the vast opportunities found in rewiring entire mind and body systems, which opens the door for envisioning how we might reverse the ACE research in future generations. The brain (and so the body) is an ever-evolving and trainable organism. By rewiring neural pathways, we know that trauma’s effects can often be reduced and even eliminated and reversed. There are ways to help a child with adverse experiences avert disease later in life through immediate intervention and rewiring as close to the time of trauma as possible. Knowing the signs of trauma in children is the starting point for intervention. While adults can verbalize feelings, children may instead exhibit theirs through regression in functioning and behavior, difficulty regulating emotion and behavior, interrupted sleep habits, fear of new experiences, clinginess, and loss of recently developed skills. Adolescents may also exhibit sudden rebellion, strong emotions, overreactions, isolation, withdrawal, self-absorption, loss of interest in life, and difficulty with concentration and memory. 1. Immediately address the trauma. Processing the residual effects of trauma is key. Children should be encouraged to talk, draw, act out, or find other ways to express and communicate their experience and its aftereffects. 2. Reframe the world as a safe place. Stress in the mind and body continue when the threat continues. The more quickly a child emotionally, psychologically, and intellectually reacclimates to a sense of safety, the more quickly the body will readjust to a sense of calm. 3. Develop a sense of self-efficacy and control. “I can handle it!” thinking reduces fear and hence the necessity for a survival response. Helping a child believe in his ability to take care of himself increases personal strength and can decrease anxiety, thereby lowering the emotional and biological stress response. 4. Engage professionals to help process the trauma. There are many ways to help reset the body and mind after trauma. Psychological processes include talk therapy, Cognitive Behavior Therapy, and Dialectical Behavior Therapy. Energy work can involve Emotional Freedom Technique, Thought Field Therapy, or Tapas Acupressure Technique. Other options can be found in the field of somatic modalities, which include Somatic Experiencing, sensorimotor, dance movement therapy, equine-assisted therapy, yoga, and art therapy. Choosing a technique to try and then finding a trained professional can dramatically reduce the stress response while simultaneously helping the body and mind restore balance. 5. 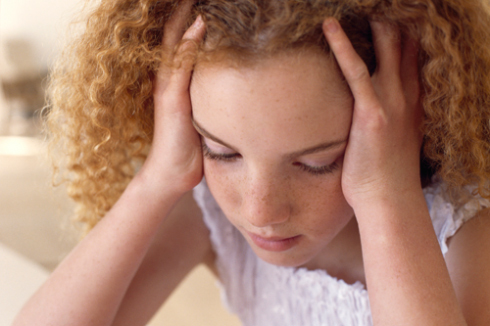 Teach children to modulate their stress response. Research proves that mindfulness, meditation, and breathwork are among the leading activities that help rewire the mind and body. From a young age, children can be taught these processes to help them reclaim control over their own stress reactions. 6. Build self-esteem. Stress (and especially symptoms of post-traumatic stress disorder) can alter the size and function of many parts of the brain. For example, a recent study illustrated that the Orbito Frontal Cortex (OFC), the part of the brain devoted to decision making, can be reduced in the presence of enormous ongoing stress. The same study also observed reversal of the structural damage. The key to the reversal, scientists concluded, lies in the presence of the most important element of resilience: self-esteem. Building up a child’s self-esteem before and after a traumatic event can be accomplished by offering learning experiences in which they are allowed to (1) take healthy risks, (2) make choices, (3) shoulder age-appropriate responsibilities, and (4) explore and assume tasks related to new interests. Major traumatic events are easy to spot and therefore easy to identify as experiences that need attention. The more quiet and hidden abuses—for example, neglect and sexual abuse—require more subtle sleuthing. Creating an environment of help and support is crucial. We don’t heal in isolation; we heal in community. We owe it to traumatized children to protect and strengthen their health. This article is absolutely true, but some research may still be left to explore. As a childhood sufferer (self-taught survivor) of parental neglect and bullying followed by years of being bullied by my peers in school and career, I can give several insights to other potential risks. Now, as a single parent, I have found it even more difficult to instill security, focus, and self-esteem in my own child – who now shows signs of ADD. Sadly for me, I have never been treated for anything more than chronic depression or anxiety and have had to find my own methods toward recovery. I don’t think anyone actually recovers, but we find other ways of survival from within. I practice meditation, self-talk, and use music as a means to quiet my soul. I have also found that helping others through their experiences by listening and offering life-coaching or motivational words has helped me find increased value in my own outcomes. No one can ever take away the pain; we can only try to see the beauty in life and take it one day at a time…. Knowing how your traumatic experiences have impacted your life can give you the insight you need to guide your children. Even if your child has experienced trauma, there are various ways to help them develop resilience and heal. My mother was abused as a child. I always wondered if there were any side effects to her past that would have been passed on to me. Thank you so much for this article, now I finally have an answer! Wow thats deep, what a disturbing article… very interesting though…. You made a good point that adults should help the child who has experienced trauma in addressing it. It is always good to let the child express what she is feeling because this is one way for them to release whatever is bothering them. Support from adults is vital for children to overcome the experience. I will definitely take note of this if ever I encounter the same predicament. Thanks. Couldn’t agree more! And so glad you found the information helpful, Bobby!